Faster and Louder: Dboy - "Dboy for President"
I have heard grumblings from numerous individuals about a lack of inspiring candidates for president. Well if you can't get inspired about Dboy for president, there's just no pleasing you! You may recall me reviewing Dboy's full-length record last year. My endorsement was earned without collusion or coercion, and instead through the sheer power of transcendent rock and roll. 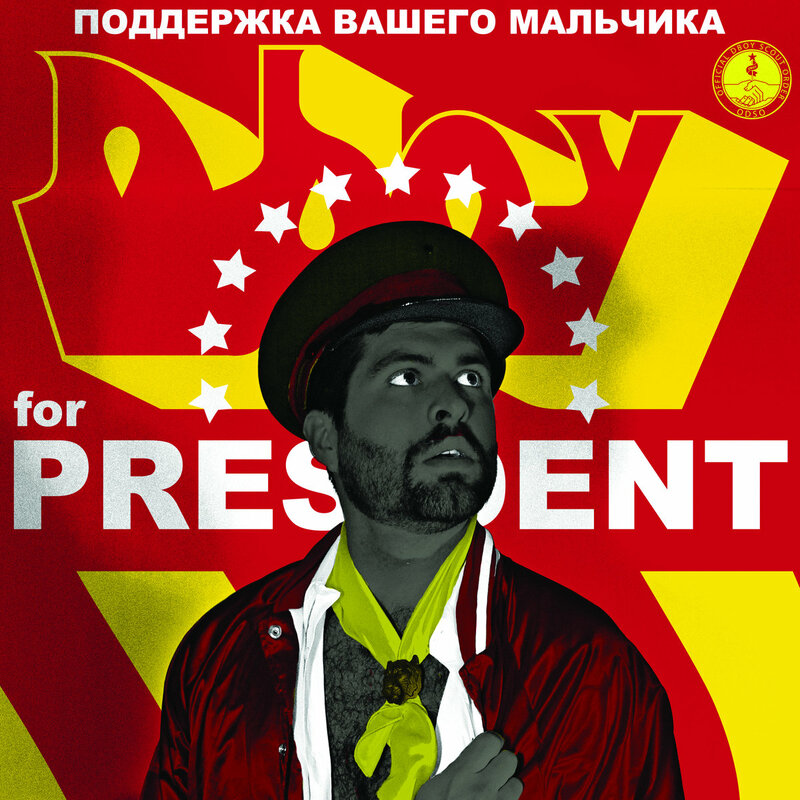 "Dboy for President" is a collaboration between the Performance and Recreation Council and Dine Alone Records. It's an extension of the thirteen-point program set out in Dboy's official manifesto ("10. Dboy take on the laborious task of developing novelty and shock so you don't have to"). Through its spokesperson Kirill Kutchokokov, Dboy has stated that this new release is "the single for the modern free world". A vote for Dboy is a vote for an advanced future. That is something we can all stand behind. And how many other presidential candidates proclaim to write rock and roll "because rock and roll is what matters"? The Performance and Recreation Council has released a video (embedded below), outlining a hostage situation that occurred in the run-up to Dboy's present campaign for office. Click play, and you too will be a true believer and perhaps even find yourself persuaded to join the Dboy scouts today. If your commitment to the cause demands a physical product, yellow vinyl copies of "Dboy for President" are available via Bandcamp and include a poster of these three wolves for further adoration. Support the new era of aesthetic ingenuity!